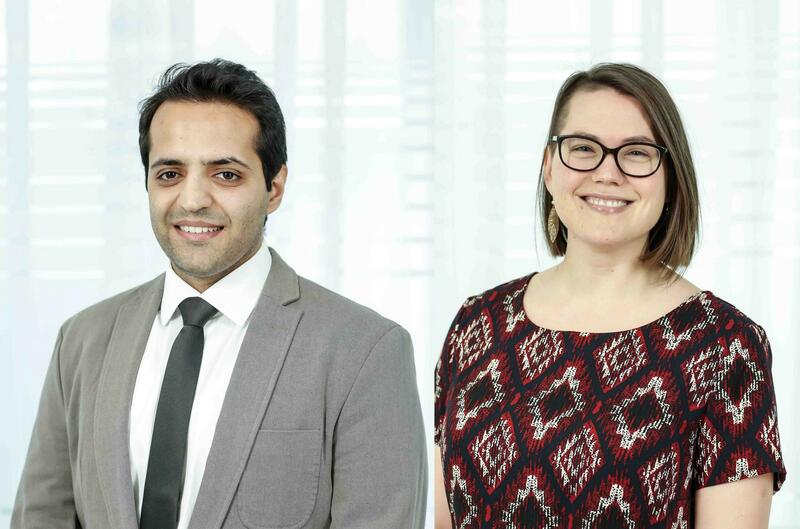 Graduate and Postdoctoral Studies congratulates the most recent recipients of the 2018 Pierre Elliott Trudeau Doctoral Scholarship, Mohammad Karamouzian and Grace Nosek. Since the scholarship program’s inception, Mohammad and Grace are the 24th and 25th PhD students nominated by the University of British Columbia. Mohammad Karamouzian’s passion for global equity in health and social justice grew from concerns for the homeless drug users he worked with as a volunteer at an NGO food bank in Iran. An HIV/AIDS epidemiologist, Mohammad works with world-renowned researchers to affect positive change in current harm reduction policies. Grace Nosek is interested in how law can be used to protect climate change science, particularly in an environment of doubt created by companies focused on protecting profit. She is also the author of a series of young adult eco-fantasy books, the Ava of the Gaia Series, that incorporates important issues like climate change into compelling storytelling. Each year, up to 15 scholarships are awarded by The Pierre Elliott Trudeau Foundation to support doctoral students pursuing research in one or more of the four themes: Human Rights and Dignity, Responsible Citizenship, Canada in the World and People, and their Natural Environment. Pierre Elliott Trudeau Foundation scholars are highly gifted individuals who are actively engaged in their fields and expected to become leading national and international figures. Information on the application and adjudication processes can be found in the Award Opportunities section of our website. Meet the 2018 Pierre Elliott Trudeau Foundation scholars.